It could be that you have older timber sash windows fitted to your home. But they are well past their best and you are considering selling your home to make a move in the near future. It might be a good idea to get those old timber sash windows replaced before you take the plunge and try to market the property. How about considering your homes’ appeal to potential buyers? Look at it from the buyers point of view, and think whether a buyer would be more attracted to the property (and more likely to offer the price you ask) if you replace the windows. In this instance, the investment could well pay dividends. Helping your home to sell faster at good price. Right now is an especially worrying time to sell a property, given all the uncertainty about Brexit “deal or no deal”, but you can improve your chances by taking a step back and paying attention to the right things. Many properties that are famed for their classic proportions were built around the 18th & 19th Centuries in the UK. Sash Windows are synonymous with the look and feel of these homes. So it is vital that when you are thinking of modernising them that you choose a product that maintains the character as well as add value or appeal. Many properties have been extended at the rear and used standard casement windows. These will only have sash windows to the front of the house. In this instance you could just focus on the front of the property. Check them over and see what state of repair your current windows are in. Given that timber sash windows are costlier to replace than a standard casement windows, it’s not surprising if yours have been painted over & over again to save money (instead of being replaced). Typically, older softwood sashes will fit badly into the frame. They could still be single glazed and may have lost a counterweight (or 2) when the internal sash rope has given up and broken. Old window locks may also still be fitted that could seriously reduce security of the window. Layers of old paint may have built up – even I have seen many sash windows that are stuck closed due to paint build-up. 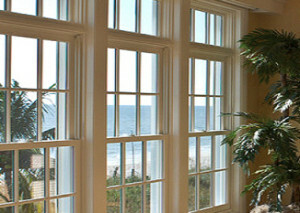 What can you afford to spend on new windows? Good timber sash windows can cost a few hundred pounds each – but you could be offered a lower price for your property by a potential buyer if you still have the old windows fitted. Consider what you may gain or lose on the deal. 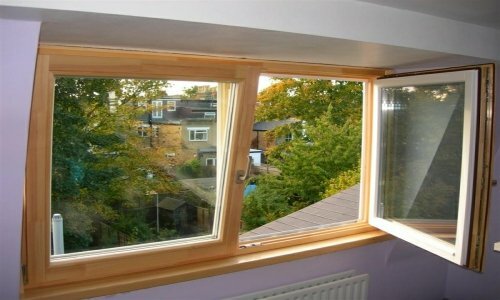 Repair by a professional is always worth considering if the windows are worth repairing. Usually less costly than a full replacement. However, that cost will depend on who you use to do the job as prices across the UK to repair sash windows varies greatly. If you are going to replace your timber sash windows, use double glazed units – buying single glazed windows these days is a complete waste of money. If you live in a listed building or somewhere that is an Area of Outstanding Natural Beauty (AONB) or National Park (plus a few other situations), you may need permission to do the work. Check with your planning authority first. Your choices available would tend to be timber or uPVC. Timber is classic but pricey. UPVC is cost effective, but you should take care to make sure you buy good quality that blends well with your home. Which is best – fitting uPVC or Timber Sash windows? Purists will always say that timber is best. And in most cases where you are working with a house of character, we would agree. But timber box sash windows don’t come cheap. 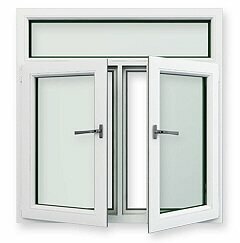 An alternative is to use UPVC sash windows. 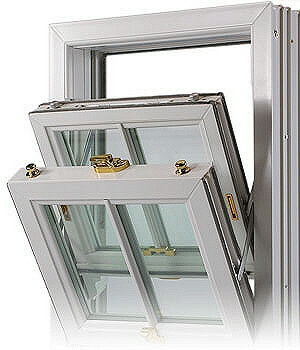 Modern UPVC sash windows are a perfect choice if there are no restrictions on your property. Some planning authorities are not fans of UPVC in certain circumstances (find your local council here: https://www.gov.uk/find-local-council ). With a range of up to around 20 different colours you can surely find one to match (or contrast) your property. 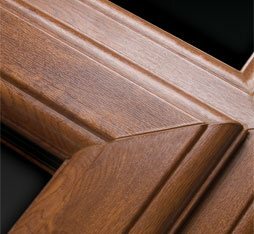 High quality timber-grain effect finishes can add an even more authentic touch. Which option is best? – that could be decided by the budget you have available, by personal taste or by an external factor such as local planning requirements. There is no doubt that UPVC sash windows are less costly than traditional timber, so if you are budget conscious, then uPVC is the better option (or you could try secondary glazing). If wood is the way you want to go, maybe take a look around for engineered timber products, as they offer all the benefits of natural wood but at a potentially reduced cost. Unless the potential buyer is looking for a “fixer-upper” it could well pay dividends to replace your old windows before putting the house on the market. Find out the cost of replacement sash windows for your property – send us a quote request here. John has been around the building industry since he was a child. With a degree in civil engineering, John is a highly valued contributor to our website.